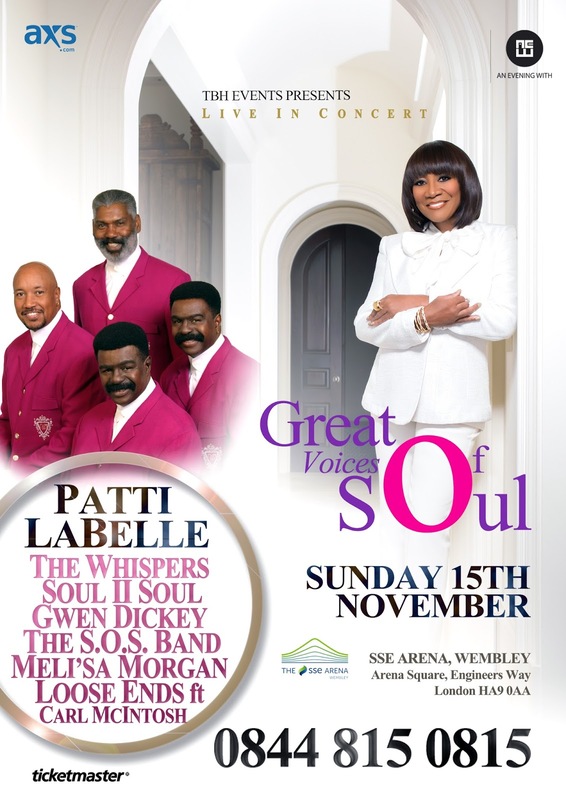 Great Voices of Soul fronted by Patti Labelle and The Whispers will head out on a string of impressive UK tour dates this autumn. Joined by legends Soul II Soul and Gwen Dickey, this line up is sure to entice soul and Motown fans alike. Great Voices of Soul also welcome the S.O.S Band, Loose Ends and Meli’sa Morgan to the stage with them in Birmingham, Manchester and London. You don’t want to miss this once in a life time line up with so many legends congregating together to celebrate the rich history of soul music from across the world.